This is the start of an irregular series on our blog where we will take a fantastic port of call and get the most out of a short stay in an amazing city. We’re starting with London. Let’s be honest. There’s no way to even scratch the surface of what London has to offer in just 24 hours. With literally thousands of years of history around every corner, and some of the most exciting cultural experiences in the world an arm’s reach away, a city like this could take weeks to get a good sense of. But even with just one day, a taste of what makes London so amazing is still possible. Here’s our custom 24 hour itinerary for London. Hope that night on the plane was a restful one, because this will be one busy day that will start with a quick train ride to the city and avoiding the rush hour traffic stuck in a black cab. The Heathrow Express will get you to Paddington Station in 15 minutes flat, and at just 18 pounds, its a heck of a lot cheaper and faster than the 70+ pounds and hour that it could take in a taxi. The Tate Modern museum is the very definition of “Cool Britannia.” Opened in 2000 within a former power station on the banks of the Thames, the museum has quickly become one of the top three tourist attractions in London and one of the premier Modern Art collections in the world. The best part about the Tate? Entry is free for most exhibits. (Some special exhibits have admission fees.) Right now, we recommend the Oskar Fischinger multimedia exhibit featuring one of the first immersive multimedia art exhibits using abstract films and created nearly 90 years ago. Admission to the Tate Modern is free, and the Fischinger exhibit runs through May 2013. 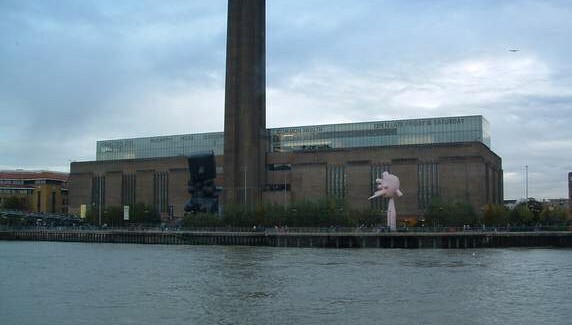 For more information on the Tate Modern, click here. Just across the Thames is St. Paul’s Cathedral, a London landmark since 1710, and a short walk from the Tate Modern across the Millennium Bridge. 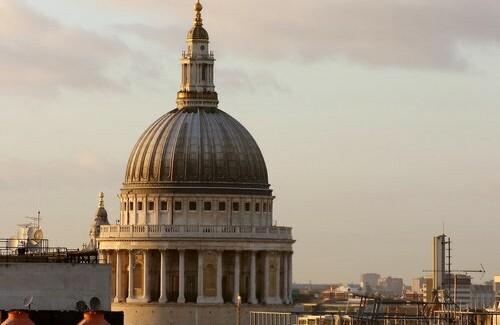 This giant and ornate place of worship offers you several different ways to explore the history of Christianity in London, including a tour of the crypts and the chance to climb the dome, one of the largest in the world and offering you a vantage point of London from 350 feet up. On your way out, we recommend walking to the Cannon Street tube stop so you can get a good view of London Bridge and the tower on your way to your next destination. The Cathedral is open for sightseeing from 8:30AM til 4:00 PM on most days. After taking the tube to South Kensington, Harrods is the must shop destination for every London visitor and just a short walk away. Shopping and lunch is the order of the day here. With over 30 eateries in store, as well as just about everything else imaginable, Harrods is the largest store in Europe with over 1 million square feet of shopping space. Also, don’t forget the memorial to Princess Di, just off the Egyptian Escalators. Check out the world famous food hall, and visit Laduree for some absolutely sinful macaroons. Harrods is open 10-8 Monday through Saturday and 11:30 til 6 on Sundays. A 10 minute stroll through Green Park from the Hyde Park Corner tube stop will get you front and center in front of Buckingham Palace. Definitely worth a look, even if that invitation inside the gates got lost in the mail. Periodically, the palace will do a full changing of the guard, complete with pomp and circumstance. This doesn’t happen every day, but when it does, its usually at noon – just so you know. The London Eye is the greatest view in the city. This giant ferris wheel gets you a view from nearly 450 feet in the air and is the best way to really get a sense of how enormous London really is. Reserve in advance and book a “Champagne flight” for a lovely pre-dinner cocktail experience in the sky. 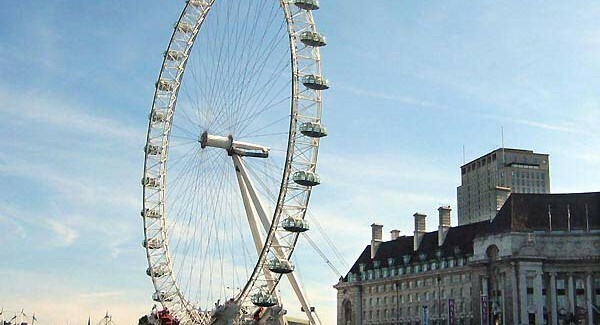 Find more information about the London Eye, and book tickets in advance at their website. 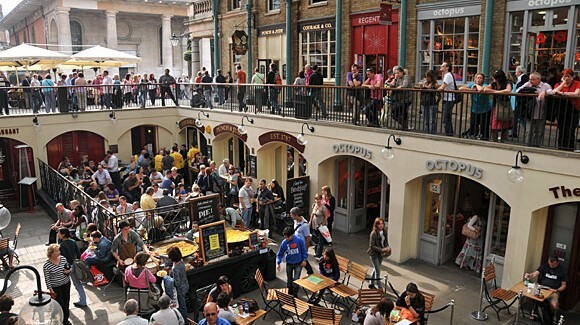 A few more stops along the Picadilly tube and Covent Garden is the next destination worth spending some time. This marketplace is always full of street performers and probably a good place to eat up too and catch an early dinner. Although London is known for fun even late at night, getting dinner after 8 can be a bit of a challenge. It’s not England without a pint or four. 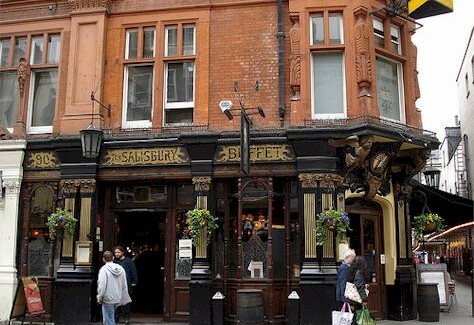 The best part about being thirsty in Covent Garden is that there is seemingly a pub every 50 feet. Visit a few of these and have a pint in each and get the different vibes from place to place. By the time last call hits at 11, that hotel bed will be calling out and a very full day in London will be drawing to a close. There are hundreds of different cruising options leaving from the UK, just a short distance from London. To see all of our options, just click here, or call us at 877-283-1114 for more information.